Property Day 2018 – Does Rent Control Violate the Human Right to Property? Does Rent Control Violate the Human Right to Property? 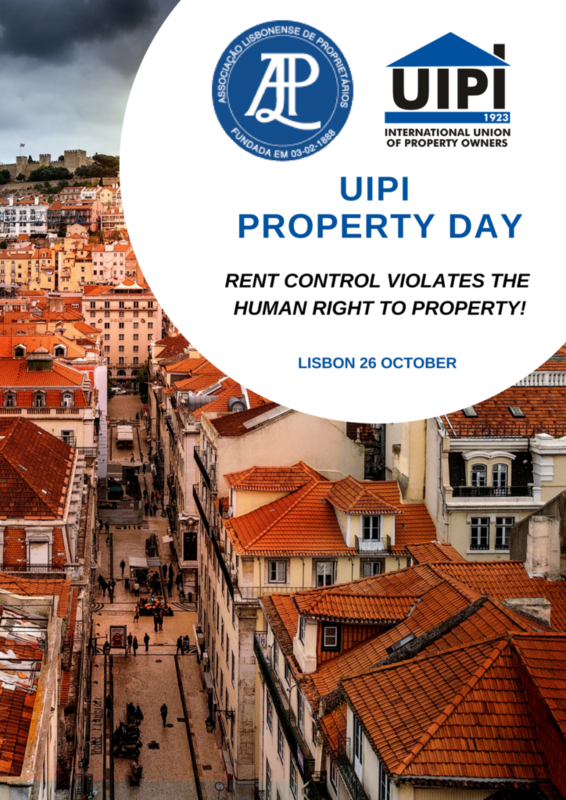 Hosted by UIPI’s Portuguese member, the Associação Lisbonense de Proprietários (Lisbon Association of Property Owners—ALP, the International “Property Day” took place in Lisbon on 26 October 2018, where the legal, economic and social challenges caused by rent control were discussed. Portugal has one of the oldest rent control systems in the world. This over hundred-year-old control law, along with sporadic rent freezes, has had a considerable impact on Portuguese economy and real estate market. The Economic Adjustment Programme for Portugal, put in place during the financial crisis, called for its abolition. This was meant to be done by a 2012 reform of rental law after a five-year transition period. However, the current Portuguese government has extended it for specific categories of tenants and for historical, touristic and commercial properties. The prolongation of these measures, together with other substantial reforms, such as the extension of tenants’ preemption right, constitute a major step backward generating a growing wave of mistrust in the Portuguese real estate sector. This was in essence the message delivered by Dr. Miguel Marques dos Santos’ Keynote intervention during the Property Day. The discussion also focused on the legal dimension of rent control, questioning to which extent they respect the right to private property. This right is enshrined in Article 1 of Protocol 1 to the ECHR, as well as in Article 17 of the EU Charter of Fundamental Rights, and its long-standing centrality as human right is undisputed. According to its common interpretation, its scope has to be determined in light of the principle of lawfulness, legitimate aim and fairness. Arguably, rent control fails to secure a fair and proportionate enjoyment of ownership right. The 2018 UIPI Property Day, which gathered more than 130 participants, successfully ended by a meeting with the President of the Portuguese Republic. UIPI members showed their full support to ALP and their members on this matter. In the current political context, where rent control schemes are often presented across Europe as the magic solution to housing crisis, the Portuguese experience is the living example of the negative long-term impact of such measures for the real estate and private rented sector, but also for homeowners and tenants.